Courses focus on learning computer science concepts through inquiry and projects. 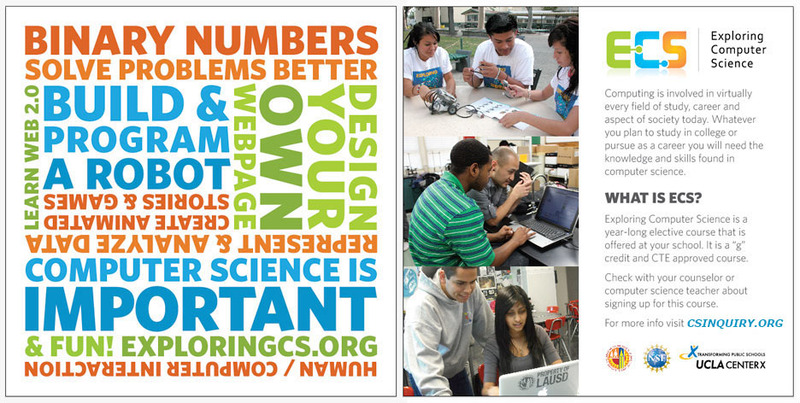 Themes and practices include the creative nature of computing, problem-solving using technology as a tool, and seeing the relevance and impact of computer science. Students in CSA take their Computer Science classes in a multi-year sequence. Students work collaboratively on projects and labs; together we form a small learning community. College and career skills are built into the courses to prepare students for higher education and future work as computing professionals.